Do you know about Barefoot Books? The independent children's book publisher creates some of the most visually stunning books that capture a child's imagination. When my children were younger, I purchased quite a few of their titles, specifically ones that come with a CD so that my kids could listen to the audiostories. 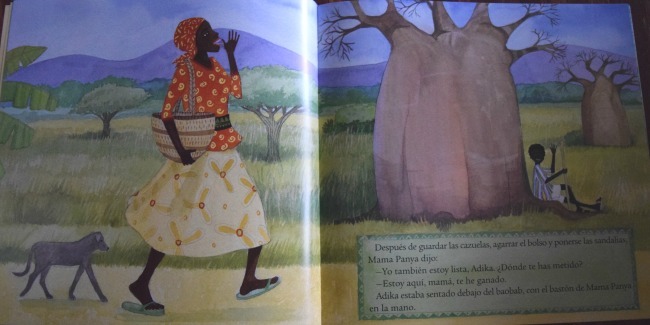 They also have a small collection of bilingual and Spanish-language books. You may remember one of my family's favorites, The Parrot Tico Tango/El loro Tico Tango, which I reviewed a few years ago. With audio and music by the Amador family, it is such a fun read! Anyway, they now have a few new Spanish-language titles for you to enjoy. Floro, el dragón vegetariano is a really fun story. It's about the war between one kingdom and the dragons that plague it. Led by Comecarne, the dragons enjoy raiding the castle every night searching for a tasty princesa. The valliant caballeros finally decide that enough is enough and it is time to come up with a plan to put an end to Comecarne and his marauding dragons. But during their hunt, they capture the wrong dragon by mistake. Floro is actually a vegetarian dragon! Their other new title is Las crepes de Mama Panya. I love that this book introduces kids to world cultures with this African tale that describes what life is like in Kenya. Your kids will follow Adika and Mama Panya and discover what happens in their daily life. It includes a map, descriptions of animals, a glossary with Swahili words, and even a recipe so your family can make your own spicy crepes! 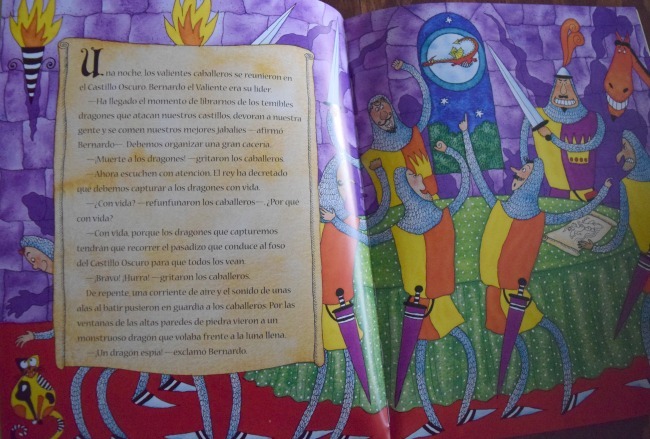 To explore Barefoot Books' other Spanish-language books, or to purchase theses, click here. 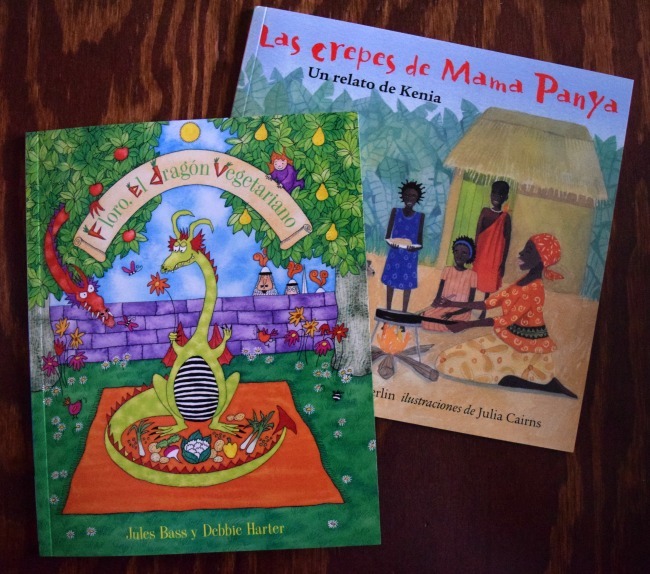 I'd like to thank Maceo Cabrera Estevez, the independent Barefoot Books ambassador who reached out to me to let me know about these new titles. The links in this post are her affiliate links, and if you make a purchase from them, you'll be helping her out. Maceo has generously donated one of each of these books to be given away to one MommyMaestra reader! Last night I read Pancho Rabbit and the Coyote to my 5 year old! Great book! I read Baby's Valentine to my daughter, again, LOL! I am currently reading Harriet Tubman: Freedombound.